(New York, NY) If someone told you 30 years ago that a radio disc jockey could be paid a $500M contract, no one would have believed you. Today, Howard Stern, the most highly paid radio personality in history, is working hard to keep and grow fans by the type of content each of his loyal listeners like. SiriusXM Radio, the largest satellite radio provider in the United States offers listeners up to 200 channels ranging from news to music as well as talk radio. Stern has two premium channels (100 and 101) along with content delivered through the Sirius App. When Stern originally signed with Sirius Radio in 2004, the satellite radio company had just 600,000 paid subscribers, roughly $100M in sales and was number 2 in the market to XM Radio. Today, the media company has 34 million subscribers and 2018 expected revenues of $5.7 Billion. Stern is credited with catapulting subscribers to the platform. Stern’s categorization as a shock-jock was cemented with such media stunts as hosting the MTV Music Awards as “Fartman” and bets on whether he could make a former crack addicted New Yorker famous even after he developed difficulty speaking from his addiction. While many know about Stern’s most outlandish moments on air , he is perhaps more widely credited with having some of the most candid celebrity interviews, some leading to book deals. One such example was Stern’s interview with Paula Anka in 2007 where Anka discussed his time in Hollywood with great detail including stories about Frank Sinatra and the Rat Pack. A book publisher listened in and called Anka with a book deal. It was released 5 years later. Stern also famously interviewed Mia Farrow in 1997 where she painfully discussed her marriages and divorces including her relationship and marriage to Frank Sinatra along with Woody Allen, who later left her for her adopted daughter, Soon-Yi. Farrow described the experience in candid detail. Another prominent interview came with James Taylor in 2017 when he talked about being the first American music artist signed onto The Beatles music label at the same time they are recording The White Album. Taylor described drug use with John Lennon as well as what he learned from the famed band as a young artist. never shared in the nearly 50 years since the band broke up In April 1970. Howard 100: The Best of the Interviews, will give listeners a chance to relive these interviews, including Cardi B, Jon Bon Jovi, Stephen Colbert, James Corden, Claire Danes, Snoop Dogg, Jennifer Lawrence, Paul McCartney, Mandy Moore, Gwyneth Paltrow, Amy Schumer, Ringo Starr, Ben Stiller and many more. Howard Stern is known as much for his groundbreaking timely comedy as for his interviews. 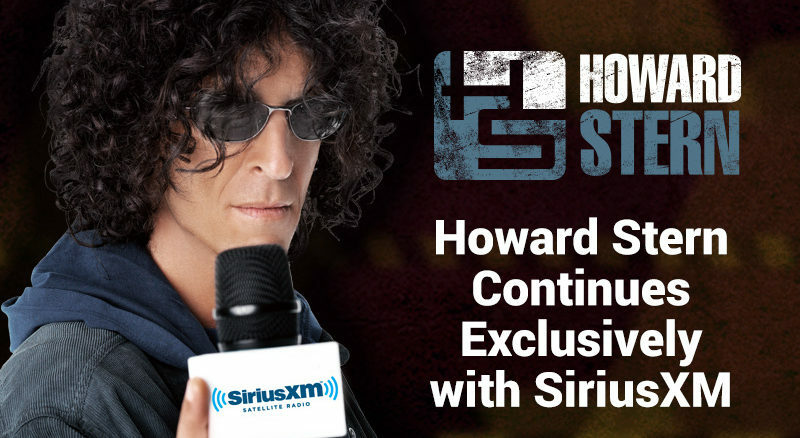 Howard Stern’s second SiriusXM channel, Howard 101, will be dedicated to the show’s greatest comedic moments from the year featuring Howard, Robin Quivers, Fred Norris, Gary “Bababooey” Dell’Abate and the exploits of their slew of office mates, “Wack Pack” super fans and characters. Highlights include Howard Stern Staff IQ Test, Ronnie the Limo Driver’s Big Secret, JD’s Bachelor Party, The Wack Pack Conclave, as well as the best Prank Calls, Song Parodies, and surprise drop-ins of the year. SiriusXM subscribers can tune in to both Howard 100: The Best of the Interviews and Howard 101: The Best of Everything Else starting Monday, December 17 at 7:00 am ET through New Year’s Day via satellite and through the SiriusXM app on smartphones and other connected devices, as well as online at siriusxm.com. Selections from Howard Stern’s Best of 2018 can be seen as well as heard, through Howard Stern Video, via the SiriusXM app.